An Articulated version of our popular Boilermaker popper. 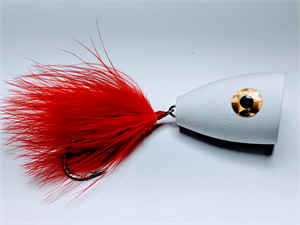 Large popper body with a solid wire connection to a super-sharp Owner hook. Try for Barracuda, Striped Bass, Bluefish, or other toothy critters.